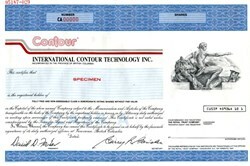 Beautifully engraved SPECIMEN certificate from International Contour Technology Inc. 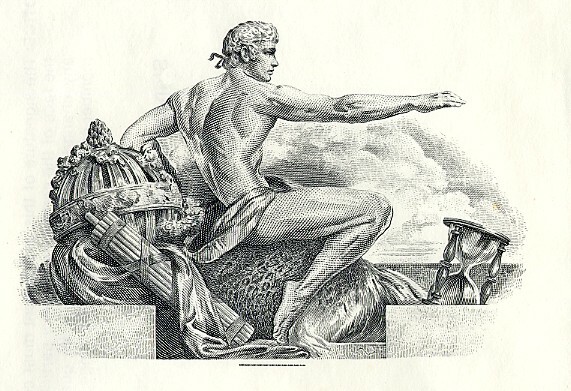 This historic document was printed by British American Bank Note Inc. and has a block border with a vignette of an allegorical man sitting with his arm extended. This item has the printed signatures of the Company's President and Secretary.